No, don’t move – we’ll come to you! Have you ever wished that The Pantaloons would visit your local village hall, church, school, library or other non-theatre location? Saving you the anguish of missing one of our shows or the cost of travelling across the country to catch one? You have? 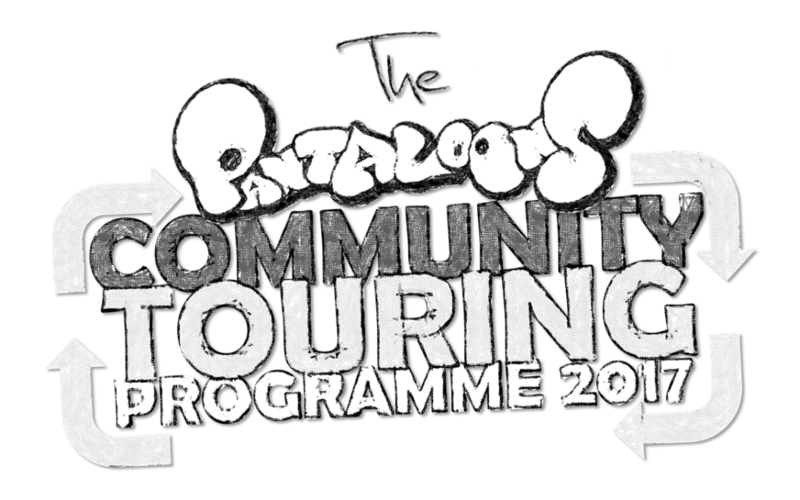 Then The Pantaloons Community Touring Programme is for you! We’ve have been hey-ing, ho-ing and hey nonny no-ing for over a decade, steadily growing audiences around the UK with our hilarious and innovative outdoor and, more recently, indoor shows. We are becoming more and more popular with venues, but we still get around as much as we’d like; and we know that some of you feel the same when we don’t manage to bring one of our productions near you. In the past we’ve been at the mercy of whether theatres can schedule in a performance or not; with everything else that they need to consider it is not always that easy for them to book us, even if they would like to. So, in order to get to you more often, we’re taking things into our own hands. Or rather, putting things in your hands. Sorry, that sounds a bit odd. Basically we are looking for those non-theatre spaces to bring our upcoming shows to; anywhere there is a community to help us promote the event and get the word around. We don’t need lighting, we don’t need a stage – just a bit of help with publicity and a friendly audience to perform to. We will follow up every email we get and take it from there!